This large scale abstract painting was inspired by a small plein air study. When working on such a large scale painting there is an importance to bring attention to a strong composition. 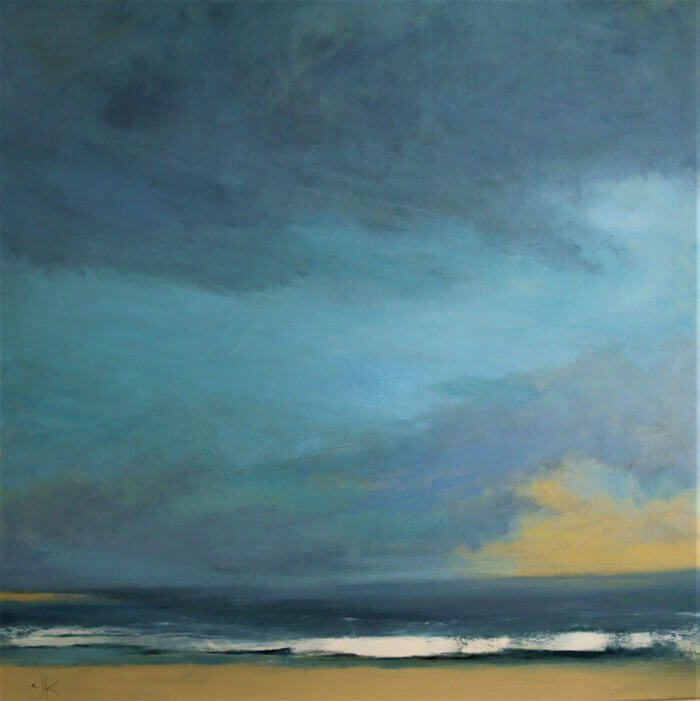 Setting the horizon line low lets the sky do lots of work bringing movement, one wave boldly painted adds to create drama. On this scale I enjoy pushing the boundry’s these large paintings demand paint and energy and sometimes an apparently simple composition works well. Claire J KendrickSeascape SeriesFebruary 8, 20170 commentslarge scale painting, oil painting.